A Diocese of Immigrants Census 2016 Results Are In! December 8, 2016 is the Immaculate Conception of the Virgin Mary. It is a holy day of obligation. It is also the patronal feast day of the United States of America. Vigil Mass: December 7 @ 7p.m. Holy Day Masses: December 8 @ 8a.m. and 12:05p.m. The Feast of Our Lady of Guadalupe (not a holy day of obligation) is December 12, and at the 12:05 p.m. daily Mass the congregation is invited to arrange roses in vases at the base of the picture of Our Lady. 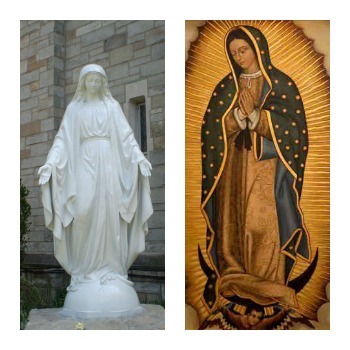 Our Lady of Guadalupe is the patroness of Mexico and all the Americas. Read Bishop DiMarzio’s December 2016 letter exhorting all members of our diocese in Brooklyn and Queens to advocate for and protect the American-born children of our immigrant families and to always welcome the stranger among us, no matter their legal status.